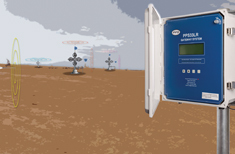 The PPS33LR RemoteWatcher is a low-power multi-sensor monitoring system designed for applications that require simultaneous multipoint pressure, differential pressure, temperature and/or flow monitoring. The system is highly adaptive and cost effective. Customers can choose from multiple sensor and surface unit configurations based on the number of sensors needed and the transmission distance required. 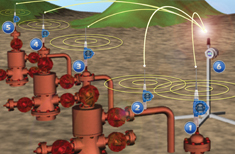 Any of the PPS33LR RemoteWatcher configurations can work with customer SCADA or satellite and cellular phone transmission systems to offer real-time information to clients working off site. PPS has also designed its own proprietary data transmission service, which transmits data to a secure server via a GSM network. Clients can now view, download and chart their data 24 hours a day, seven days a week. Maximize return on investment with the option to expand the PPS33 system as requirements change.